Bookplates or Ex Libris meaning «from the books of», are an ancient and elegant form of identifying the ownership of books. 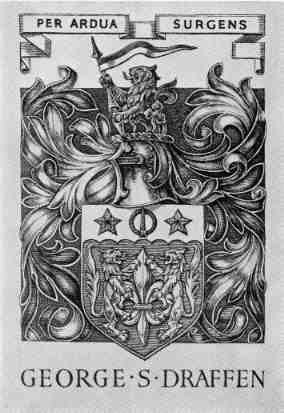 Among the most beautiful Bookplates are the ones that have as their theme the Heraldic Bearings of its owner. In modern times, however, some of the most artistic bookplates do not have an heraldic theme accompanying the "democratization" of ownership of books and its collection, once the privilege of the few wealthy enough to acquire them. By the end of the XIX th century, bookplates became a collectible piece by itself and the increasing numbers of people interested in it gave rise to the creation of Societies of Bookplate Collectors almost all over Western Europe, in the USA and in some Latin American countries. The two World Wars that devastated Europe interrupted the exchanges of bookplates and the activities of most societies. But after the last World War interest grew again and Societies and interchanges between collectors, normally by mail, rapidly increased. Artists dedicated to this miniature art also increased in numbers throughout Europe, mainly in Eastern Europe. These artists familiar with the graphic arts or with the illustration of books increased the experiences with various engraving techniques (woodcut and wood engraving, steel or copper engraving, etching, mezzotint, etc.) instead of drawing and having it reproduced by photo-mechanical means. So, when engraving is used as the support of the bookplate design we can have a small work of art. An overview has been prepared to serve as an introduction. To the The Art of Ex Libris web site (pictorial ex libris). 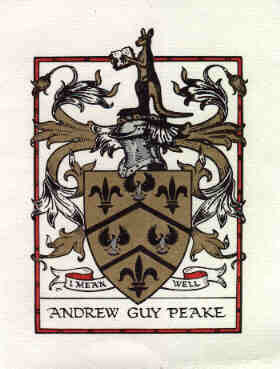 Bookplates posted are from the collections of the Editors unless otherwise stated. Your Comments are Important to us and others doing research!